What do you have planned for 2015? Some little home décor updates? A complete renovation? If 2015 is your year to get your space up-to-date, our trend experts are here to help. 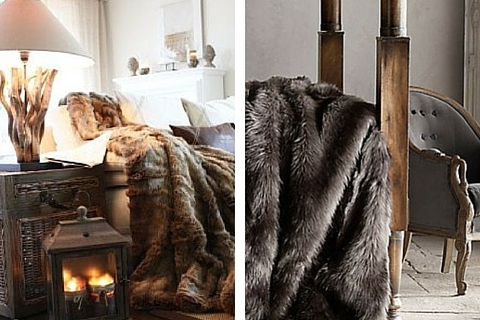 We’ve gathered interior designers, trendsetters and product experts to bring you these 2015 trends for your home. From lighting to flooring and of course, color, these trends will have you excited to plan your next space. Find a trend that speaks to you and use the advice from our experts to get your home on the right track. But, don’t forget to be true to your own personal style as well. After the holidays not only is our sanity drained but so is our wallet. But being there’s the desire the New Year brings to renew ourselves and our home sweet home. Here are 10 affordable ideas to satisfy that yearning without feeling OMG here I go again...enjoy! If you’ve got a small bathroom, you know that it’s hard to fit in everything you need and still be able to enjoy and function in the space. Designer Evelyn Eshun has some designer secrets to share that make a small space both functional and beautiful. You can even make a small room feel bigger. Download the winter issue for all the trends!